Minnesota: A retired pastor and former volunteer chaplain for the St. Cloud Police Department pleaded guilty Thursday to charges that he repeatedly sexually abused a girl at his west St. Cloud home. 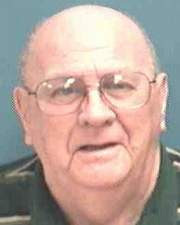 Arthur James Ree, 83, pleaded guilty to two counts of first-degree criminal sexual conduct. Prosecutors plan to ask Stearns County District Court Judge Kris Davick-Halfen to sentence Ree to 28 years in prison, while Ree’s attorney said he plans to file paperwork seeking a sentence far shorter. Ree admitted Thursday that he had numerous sexual contacts with the girl from late 2001 until June 2003, when the girl was 11-13 years old.